Do want to get something special for that special someone in your life? We have the answer. 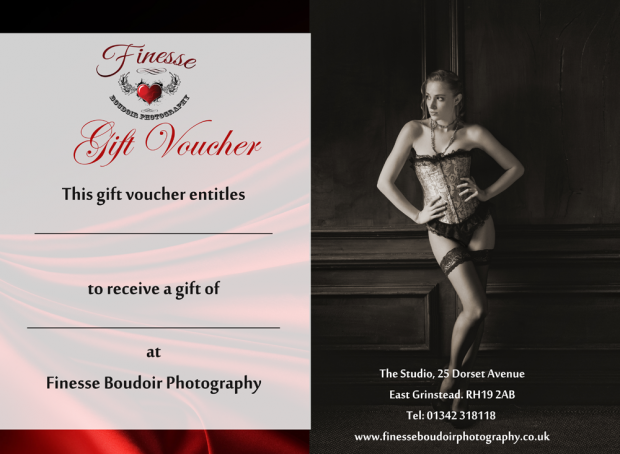 A makeover and boudoir photoshoot gift voucher presented to that someone special will be a great surprise and these photos will mean so much and have great sentimental value in the future. Our gift vouchers can be used for the makeover and 2 hour photoshoot which is just £50 or can be used for the shoot and additionally towards prints and albums. Our digital collections start at £365, prints from £65, frames from £150 and albums from £575.